I was chatting with a friend who lives in the United States recently. He’s a freelance web developer and we were discussing the state of the market. An interesting topic came up: the number of companies seeking services on a spec work and unpaid internship basis. In case you’re not familiar with the term, ‘spec work‘ is short for ‘speculative work‘. As the name implies, this is work that is, well, speculative. An example of spec work: a company looking for a logo runs a $500 contest and invites designers to submit entries. All designers who participate have no guarantee that the logos they spend time creating for submission will be selected and are thus providing their services with the hope that they’ll get something out of the exercise. Another example: an entrepreneur is trying to start a company and needs a competent developer to build a prototype application. He says he has no money now but promises payment once he’s raised VC funding. In the meantime, he’s offering a generous equity stake in his ‘company‘. For obvious reasons, in this economic environment anyone who is asking you to wait for funding to get paid (and is offering worthless stock options in the meantime) may as well be asking you to work for free. Even worse than spec work: unpaid internships. Unpaid internships are explicit about what participants definitely won’t be getting (eg. paid for their labor). Typically these ‘opportunities‘ are promoted as a great way for participants to gain valuable skills and break into an industry, even though many of the unpaid internships demand professional skills and require that the participants perform professional-quality work with minimal training and supervision. The problem with both spec work and unpaid internships is obvious: the ‘employer‘ gets work done and the ‘employee‘ gets no guarantee that he or she will receive any compensation for performing that work. Unfortunately, thanks to the economic landscape, there are plenty of skilled people willing to subject themselves to this fate. In my opinion, more needs to be done about this, both from an industry perspective and a legal perspective. Spec work is hard to defeat; although most professionals I know refuse to devalue their services by taking on spec work, there will always be takers. It’s understandable; spec work has an obvious appeal to newcomers and those who are desperate for work. entitled to wages for the time spent in training. Many of the unpaid internship ‘opportunities‘ fail one or more of these criteria, making them illegal. Take for instance this unpaid internship posted on Craigslist. It fails on all but a couple of points. Frankly I was surprised at the number of dubious unpaid internship opportunities from Craigslist that my friend was able to show me. They’re so blatant that I couldn’t help but wonder why more weren’t flagged for removal or taken down by Craigslist staff. Hopefully, more people will wise up to the sham that spec work is and more people will take action (legal and otherwise) to crack down on companies using unpaid internships to get work done at no cost. Such activities devalue the skills of talented individuals and send the wrong message to companies about the real cost of labor. If you’re presented with a spec work proposal or unpaid internship opportunity, one piece of advice: just say no! Photo credit: thecrazyfilmgirl via Flickr. I’m not one to write incendiary headlines and I’m not exactly partial to the taste of linkbait. But after reading a few quotes attributed to Google co-founder Larry Page, I couldn’t think of another headline so at the risk of going too far, I decided to stick with “Google’s Larry Page is crazy“. If you’re putting together a list of all the components of a successful SEO strategy, there’s a decent chance website security probably isn’t on it. 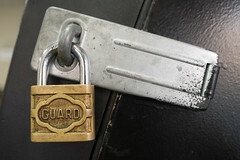 After all, how is website security going to boost your placement in the SERPs? Keen now writes at The Great Seduction, twitters @ajkeen, and speaks on a variety of topics. This week, Keen wrote that Facebook’s infusion of $200 million from Russian investors signaled “the final act of the Web 2.0 tragi-comedy.” Econsultancy caught up with him via phone while he was in Alabama this week (“studying the natives”) to discuss the death of Web 2.0 and what comes next.